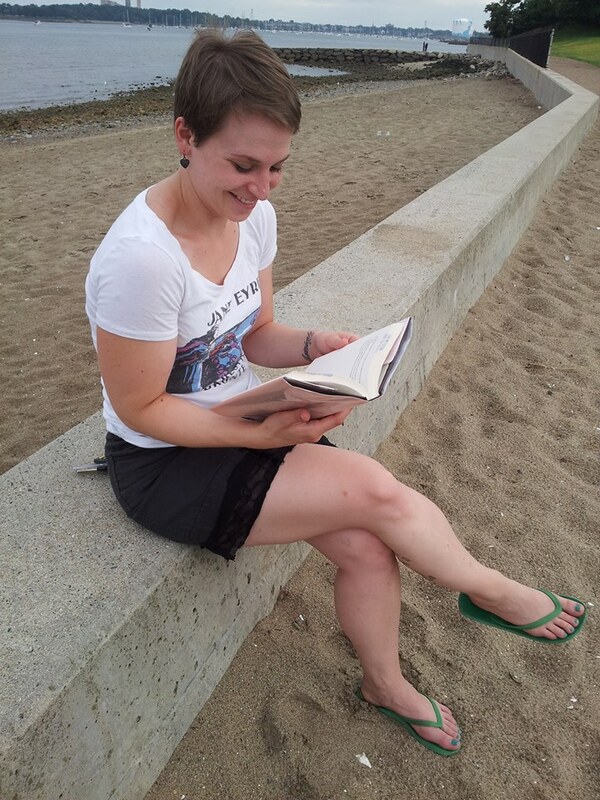 I read at the beach wearing a Jane Eyre T-shirt, don’t you? I’m a Teen and Reference Librarian in Andover MA at the Memorial Hall Library. This is my personal blog where I write about libraries, books, and more. The personal views I express here do not necessarily reflect the views of MHL. I like YA and Children’s lit, as well as regular old grownup literature. I believe that children and teens deserve the same quality of literature that adults do, but that sometimes they may just want to read Captain Underpants or endless amounts of zombie books. Grownups want that sometimes, too. And I think that’s okay. I am a lover of Star Trek (TNG is preferred), other geeky sci-fi and fantasy things (Pacific Rim! Battlestar! Lev Grossman’s Magicians books! A Song of Ice and Fire books not shows! ), reading books of all kinds, being a feminist, making collages, playing the piano, writing poetry – all sorts of stuff. I like to believe I’ll live to see humanity make first contact with the Vulcans (I’ll be 77 in 2063 – I can make it) and pull a Mark Twain with Halley’s comet. I try to post on Tuesdays (or whenever I can), so check back here for new posts. I start a lot of sentences with “so,” because Seamus Heaney did and he is the best. So get used to it. Or, if you need more, follow me on Twitter, Pinterest, Goodreads, Instagram, and Tumblr (with two other librarian friends)! I’m also blogging on a monthly basis for YALSA’s The Hub blog, a great resource for lovers of YA literature. 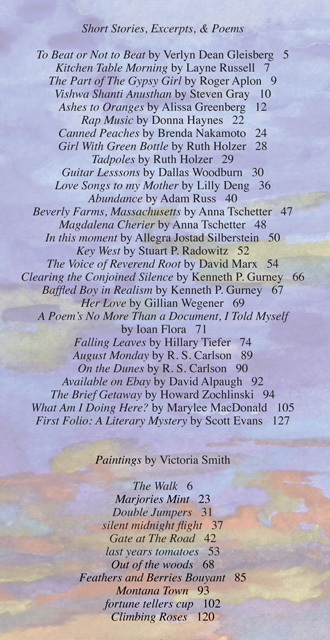 If you’re really desperate, go see the two poems I’ve had published in the small but mighty, Blue Moon Literary and Art Review. If you found this blog because of a letter I wrote to Gordon College President D. Michael Lindsay, please check out my friends’ blog, OneGordon, about supporting and allying with LGBTQ Gordon students, staff, faculty, and alumni. Finally, what’s LCARS? Read all about it here. This means: please be nice and attribute your sharing and non-commercial use of my content. Thanks!